We offer a wide selection of DIY walks around London that you can simply print of and do at your own pace. Some of these London walks are detailed step by step tours that cover whole areas of London; others are themed walks that keep to a condensed area. This is a developing section of the website and, over the next few months, many more walks will be going live on here. You can now enjoy a selection of free self-guided walking tours on our website. We currently offer 20 free London walks that you simply print-off and go and do at your own pace and in your own time. Explore the neighbourhoods of Soho and Covent Garden on our fun DIY guide to the fabled Seven Noses of Soho. Test your powers of observation on this self guided quiz walk that takes tour around the streets of the City of London and Smithfield. This walk can be done on your mobile phone, and you even get a certificate when you have answered all the questions! 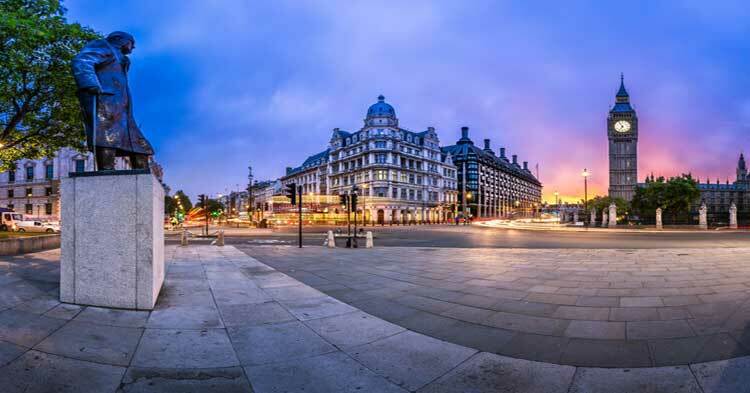 As part of the 7 days in London project, we have compiled a full itinerary that will take you all over London from Westminster to the Tower, plus some wonderful locations in between. This full day tour can be done at your own pace, and can, if you wish, be broken down and done over several days. Postman's Park, close to St Paul's Cathedral, is home to the Memorial to Heroic Self-Sacrifice, on the wall of which you will find a series of plaques to humble heroes who died saving the lives of others. We now have a full guide to everyone of the plaques.